The American Dental Association (ADA) recognizes prosthodontics as an integral dental specialty focusing on the restoration of and replacement of teeth. Whether age, decay or a dental injury has made it impossible to smile the way you used to, prosthodontic dentistry uses gentle treatments to restore smiles back to their optimal health. As an experienced dentist in the field of oral surgery and conservative care, Dr. Chong takes pride in helping patients rediscover their confidence with a smile that best represents them. Give us a call at 760-634-7980 to take the first steps towards embracing life again with a beautiful, healthier smile. Has Smiling Become a Burden? While you may only notice a change in your appearance after tooth loss, other problems may develop under the surface. Research has shown that after tooth loss, the jawbone experiences rapid deterioration that may put the health of your entire mouth at risk. Thankfully, Dr. Chong’s experience in restorative dentistry means one or more missing teeth can be replaced and the effects of tooth loss can become prevented or reduced. Our customized dental crowns are a popular choice for patients who hope to restore the look or feel of a discolored or irregularly shaped tooth, or replace one or more missing teeth with a dental implant or bridge. Made of a strong, tooth-colored porcelain, dental crowns are built-to-last and may easily be mistaken for a natural adult tooth. Zirconia Dental Crowns: these types of all-ceramic crowns are made of a high-strength biocompatible material that is also used in medical applications such as artificial joints. These crowns have been known to significantly improve the shape and color of the teeth. E-Max Dental Crowns: these dental crowns are considered to be a state-of-the-art inclusion in dental crown technology. Its natural looking, translucent color and high durability allows patients to maintain a beautiful aesthetic appearance for several years. Dental crowns and bridges work together to seamlessly replace missing teeth by securing one or more dental crowns (or replacement teeth) in the empty space where a tooth or teeth have been lost. 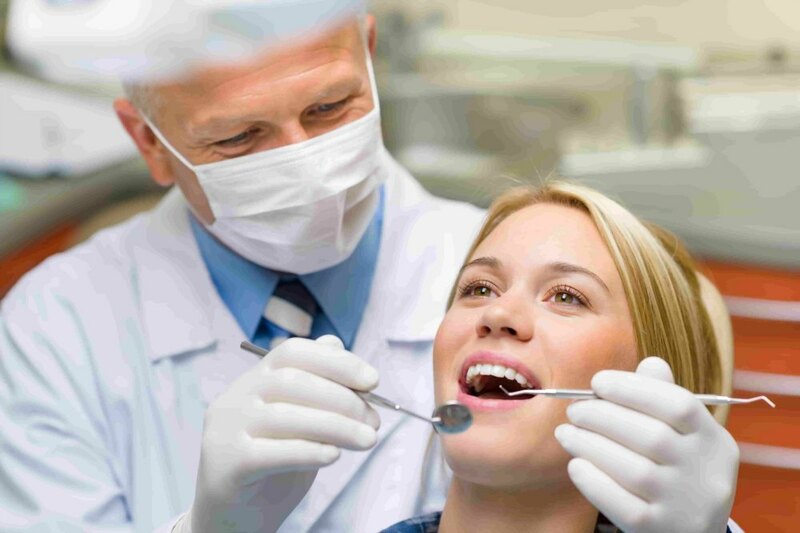 During the process, your smile is seamlessly restored without the need for dental surgery. After placement this fixed prosthetic device may last 10 years or longer with proper care for a natural looking smile that is built to last. Partial Dentures: Ideal for patients who have lost one or more, but not all of their teeth. Partial dentures can be made of cast metal, acrylic, or a flexible acrylic (such as Valplast®, Duraflex® and tcs® partial dentures). Flexible acrylic partial dentures are a patient favorite for simple tooth replacement without needing surgery or a dental implant. 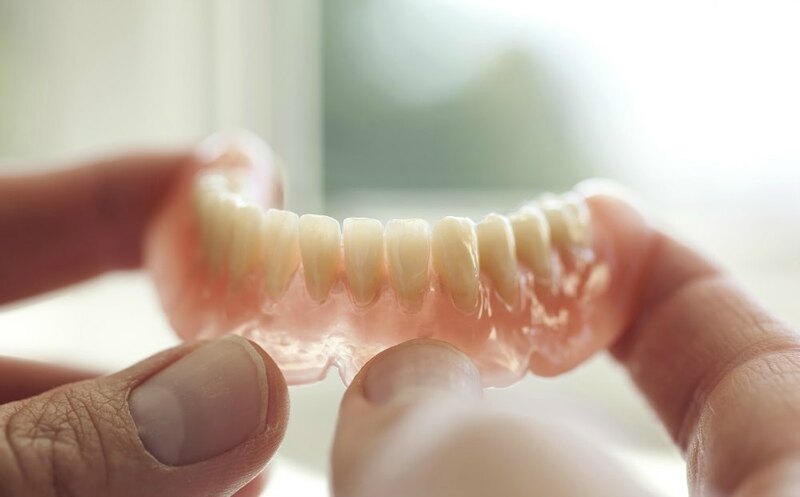 Our cutting edge Valplast® Flexible Partial Dentures are made of a durable, thin plastic that is virtually invisible and fits comfortably into the mouth--without needing metal clasps to secure the dentures into place. These tissue-colored removable dentures are highly flexible for superior comfort for your teeth and soft tissues in the mouth. Complete Dentures: Replaces an entire row or set of teeth if no teeth remain in the mouth or remaining teeth have been removed. After the teeth have been removed, an immediate denture can be made in advance and placed directly after tooth extraction. However, these dentures are commonly referred to as a temporary solution because they typically require many adjustments as the gums heal and the form of the mouth changes over time. Conventional dentures are a much more popular choice and are ready for placement after a period of 8-12 weeks after remaining teeth have been removed. These removable prosthetic devices can be used to replace the upper, lower or both sets of teeth and can be one of the most affordable options for tooth replacement. Not only will your dentures feel comfortable and strong, but they will look natural and personalized for your own unique personality and smile. With our strong and natural looking dentures your smile will not only help you live better as chewing and speaking comes with ease, but you’ll love to show off your confident new smile with everyone you meet! Check out Our Smile Gallery And Give Us A Call! Replacing one or more teeth may sound intimidating at first. But at our restorative dental practice in Encinitas, Dr. Chong and our team invite all of our patients to take a look at some of our revolutionary smile makeovers. When you see what we’re able to do with gentle restorative treatments, you’ll know you’re in good hands! Give us a call at 760-634-7980 to find out more about our prosthodontic treatments and schedule your consultation.